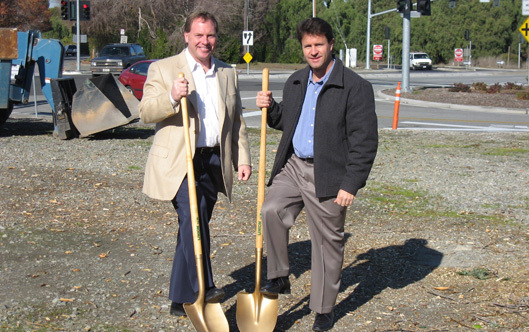 2006 Renault & Handley recognized an opportunity for a client to take advantage of improving market conditions through developing a long-held, but vacant site. The parcel of land was small, irregular, and zoned for industrial use, so building an economically-viable development would be challenging. Our concept was not only to meet the economic threshold for speculative development, but to add value to our client’s neighboring properties as well. Our client agreed. 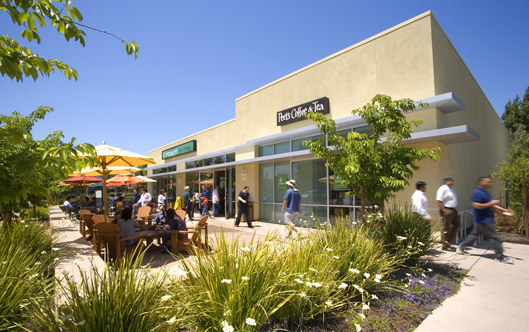 We then met with the City of Mountain View to propose a development plan for the property to create a place for a vibrant, retail food-service amenity which would serve the neighboring business community. Our plan was met with enthusiastic support. 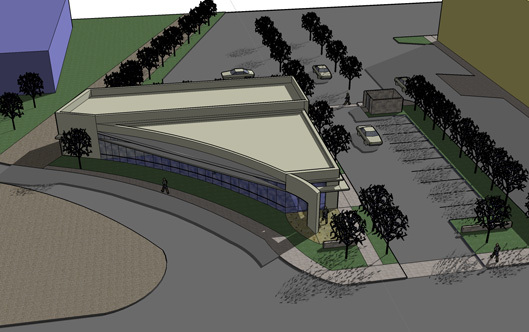 The new building design would take full advantage of the unusual arc in the parcel, creating a dramatic curved, north-facing window wall, allowing the “action” inside the building to be seen clearly from the street as well as provide for a gracious south-facing outdoor dining patio. 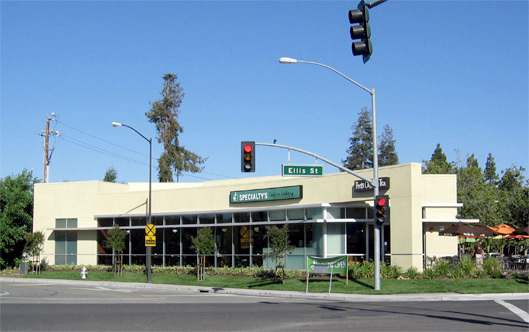 2007 Before construction was completed in June of 2007, Renault & Handley leased the entire building to Specialty’s Café & Bakery, an established San Francisco-based restaurant and catering company serving fresh-baked breads and cookies, sandwiches, soups and gourmet salads. This site would also be the pilot store for Specialty’s new licensing arrangement with Peet’s Coffee & Tea. The project was an out-of-the-park homerun for our client, not only meeting pro forma return on investment, but creating an attractive amenity for the entire business park. 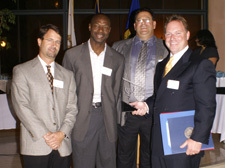 2008 In recognition of our efforts, the City of Mountain View awarded Renault & Handley the 2008 Mayor’s Award for Best Physical Project-Architectural Design. 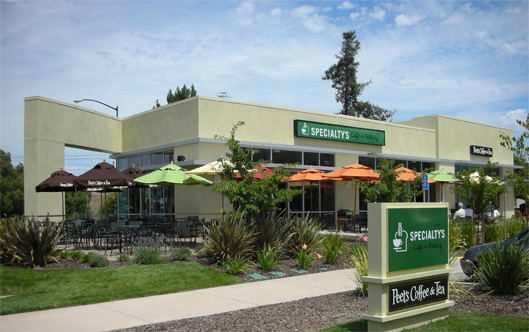 Since opening at the site, Specialty’s and Peet’s have brought life to the surrounding business park and increased pedestrian traffic along Ellis Street, furthering the City’s goal for pedestrian-oriented development in the Middlefield- Ellis-Whisman area. This location is now one of the top producing stores within Specialty’s chain. David Conklin and Geordie McKee of Renault & Handley receive award from Mayor Tom Means, along with Kevin Jones of Kenneth Rodrigues & Partners (architect). 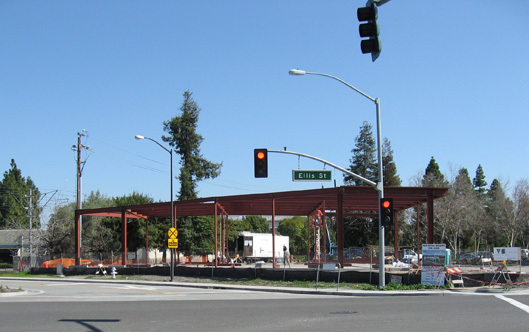 For the same project, Renault & Handley received a Certificate of Recognition from the California State Assembly and a Certificate of Commendation from Liz Kniss on the Santa Clara County Board of Supervisors.